We are happy to announce the opening of the 2019 Maine Region Scholastic Art Award Competition and the 2019 Congressional Art Competition! 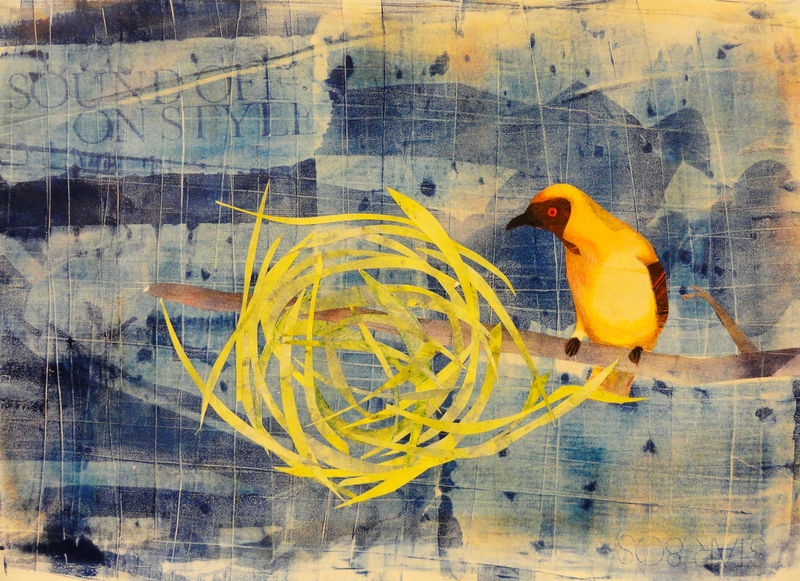 Students are invited to submit artwork to participate in these juried competitions. 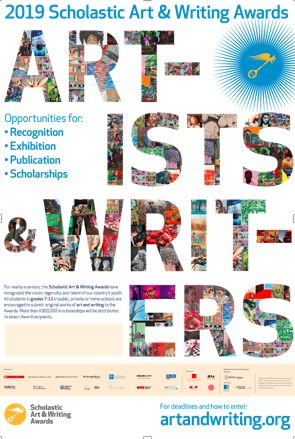 Since 1923, the Scholastic Art & Writing Awards have recognized the vision, ingenuity, and talent of our nation’s youth, and provided opportunities for creative teens to be celebrated. Each year, increasing numbers of teens participate in the program, and become a part of our community—young artists and writers, filmmakers and photographers, poets and sculptors, video game artists and science fiction writers—along with countless educators who support and encourage the creative process. The Congressional Art Competition takes place each spring, when the Congressional Institute sponsors a nationwide high school visual art competition to recognize and encourage artistic talent in the nation and in each congressional district. Since this competition began in 1982, more than 650,000 high school students have participated. Congressman Michael Michaud and Congresswoman Chellie Pingree are delighted to announce the winners of the 2014 Congressional Arts Awards in Maine’s Congressional districts. The runners-up and honorable mentions also all hail from Bangor High. Siblings Abbey and Morgan Kidder received first and second runner-up, respectively; while Nick Fournier and Shirley Yuen received honorable mentions. The judges also recognized the work of four other First District students—1st runner-up Caitlyn Duffy of Gorham, 2nd runner-up Veronica Jones of Readfield, and honorable mentions Elizabeth Brown of Manchester and Theresa Gervais of Chelsea. And from the Second District – 1st runner-up , Abbey Kidder of Bangor 2nd runner-up Morgan Kidder of Bangor, and honorable mentions Shirley Yuen of Bangor and Nick Fournier of Bangor. 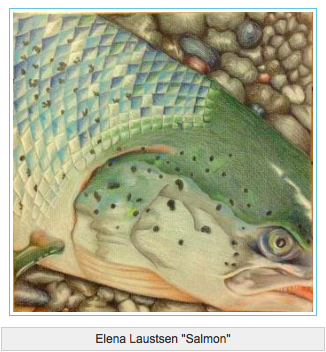 The 2014 first place winners, Elena Laustsen and Jessica Chen will be joined by four runners-up from each congressional district when they meet with representatives from the Congressional Offices at a Blaine House reception held in their honor. This event is the culmination of a close partnership between the Maine Arts Commission and Maine’s Congressional offices. Both of Maine’s congressional delegates support this program enthusiastically and have provided their full support throughout the process. CONGRATULATIONS to proud art teachers Holly Smith, teacher of Elena Laustsen, Sarah Dolley teacher of Caitlyn Duffy, and Linda Phillips, teacher of Veronica Jones and Theresa Gervais, Kal Elmore, teacher of Jessica Chen and Shirley Yuen, and Eric Hutchins, teacher of Morgan and Abbey Kidder and Nick Fournier. Congressman Michael Michaud and Congresswoman Chellie Pingree have announced the winners of the 2013 Congressional Art Competition in Maine. Brianna Hall of Rangeley Lakes Regional School and Eliza Hazen of York, a senior at Berwick Academy, were selected by a panel of experts to represent Maine in a year-long show in Washington, D.C. These students are among over 700,000 that have now taken part in this contest nationwide. The 2013 first place winners will be joined by four runners-up from each congressional district when they meet with representatives from the Congressional Offices at a Blaine House reception held in their honor. This event is the culmination of a close partnership between the Maine Arts Commission and Maine’s Congressional offices. For more details visit http://tinyurl.com/c6nan8d. Congressman Michael Michaud, Congresswoman Chellie Pingree and the Maine Arts Commission invite students to participate in this year’s Congressional Art Competition. The selected students will have the opportunity to have their work displayed in the Cannon Tunnel of the U.S. Capitol for one year, beginning in June 2013. The search is on for examples of high quality two-dimensional art. The deadline is March 28th. To review the details please click here. If you have questions please email Darrell Bulmer at darrell.bulmer@maine.gov or call him at 207/287-6746. Embedded in this blog post are the 1st places winners images from 2012. Congresswoman Chellie Pingree, Congressman Michael Michaud and the Maine Arts Commission invite you to participate in this year’s Congressional Art Competition. The selected students will have the opportunity to have their work displayed in the Cannon Tunnel of the U.S. Capitol for one year, beginning in June 2012. We are looking for examples of high quality two-dimensional art. Each year, the U.S. House of Representatives sponsors a competition for art works created by high school students from every congressional district in the United States. The program recognizes the importance of student art on a grand scale. The winning entries, one from each congressional district, are displayed in an exhibition in the U.S. Capitol for one year, beginning in June. Finalists and Runners Up, their families and art teachers will be invited to a reception at the Blaine House in Augusta where the selected students will be recognized for their work. The Blaine House event is the annual celebration that highlights the close partnership between the Maine Arts Commission and Maine’s Congressional offices. Both of Maine’s congressional representatives are highly enthusiastic about this program and strongly encourage their constituents to apply. Work must be unframed, and no larger than 26in. by 26 in. Each entry must be original in concept, design, and execution and not violate any U.S. copyright laws. Paintings (oil, acrylics, watercolor, etc); Drawings (pastels, colored pencil, pencil, charcoal, ink, markers); Collage (must be two-dimensional); Prints (lithographs, silkscreen, block prints; Mixed media (use of more than two mediums); Computer generated art; Photography. * Please note that while schools may submit multiple entries, individuals are limited to one entry per student. To be considered for review, work must be submitted in digital format. Actual artwork will not be accepted for review. For further information, please contact Meagan Mattingly, Arts in Education associate at the Maine Arts Commission at 207/ 287-2790 or meagan.mattingly@maine.gov . 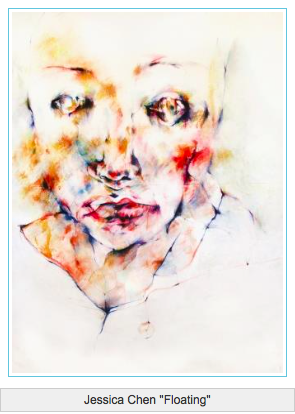 Artist name_title of image_year of work.jpg (Example: JaneDoe_Untitled_2012.jpg). Maximum of 72 characters in the file name. Name cannot contain any spaces or characters other than letters, numbers, underscore or hyphen. 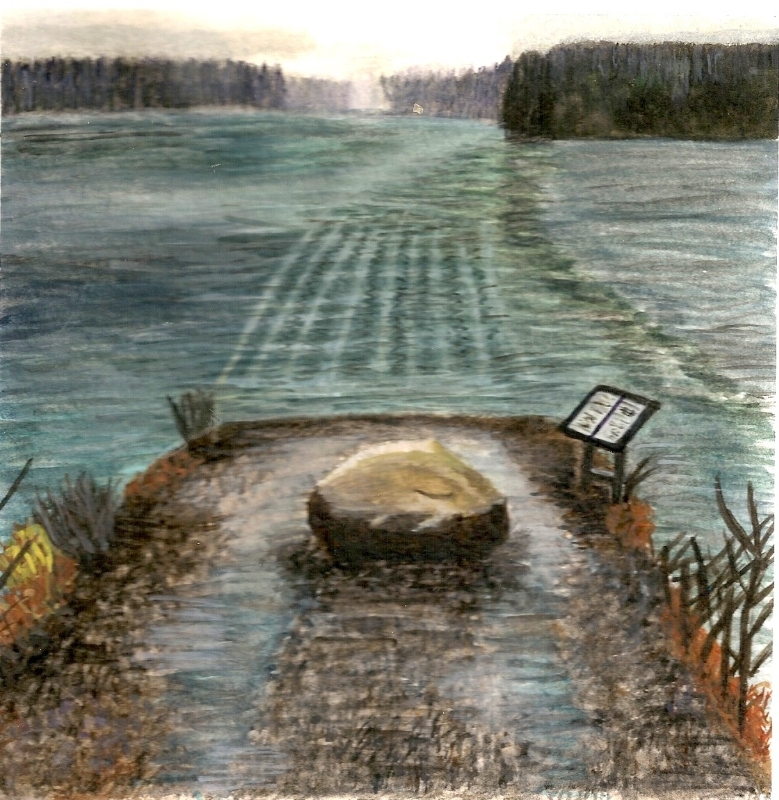 Work samples must be accompanied by a Maine Arts Commission Congressional Art Competition Entry Form that can be found at http://mainearts.maine.gov/program_artsineducation_congress_guidelines.aspx. 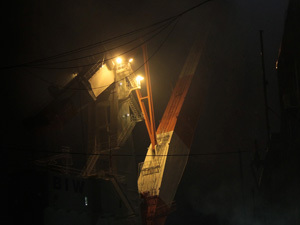 Artist name_title of image_year of work.doc (Example: JaneDoe_Untitled_2012.doc). Entries will be accepted as email attachments only and should be sent to Meagan Mattingly at meagan.mattingly@maine.gov . Please put “CAC Submission” in the memo box on your email. Lizzie Cox, a junior at CHRHS, had her artwork selected as First Runner Up in the Congressional Art Competition for the State of Maine. Lizzie is in Advanced Art Portfolio class with Ms. Carolyn Brown, and additionally takes a painting class outside school with instructor Ron Frontin. 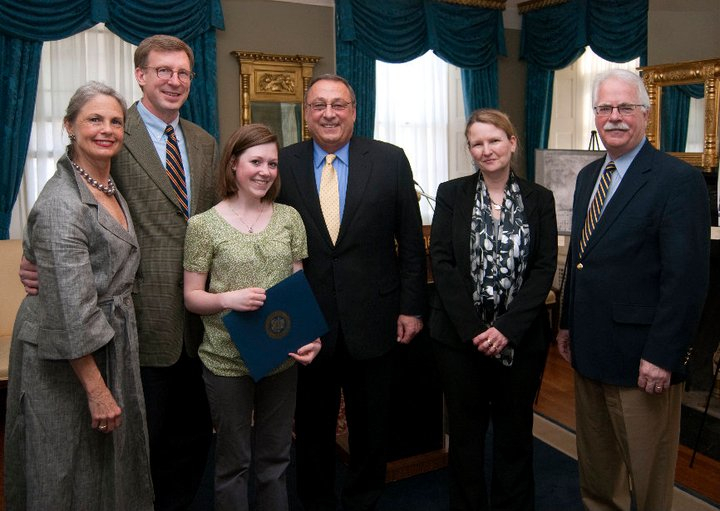 Recently Lizzie attended a reception at the Blaine House with Governor and Mrs. LePage. At the reception, she was awarded a $24,000 scholarship ($6,000 a year for 4 years) to Maine College of Art, if she chooses to attend. BIG congratulations to Lizzie for this award and to her Carolyn, her art teacher!